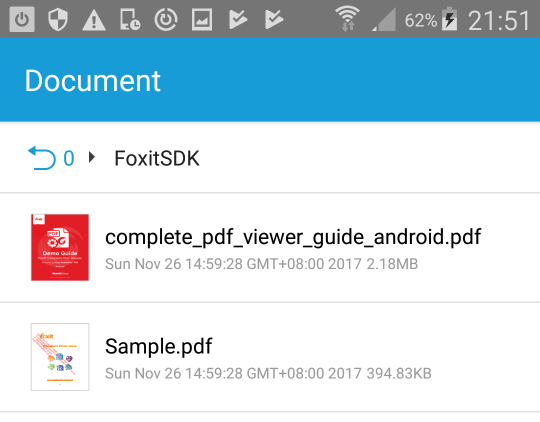 Last week when downloading Foxit PDF Reader, I browsed through the list of PDF products offered by Foxit and came across Foxit MobilePDF SDK, a feature-rich PDF library for Android, iOS and Universal Windows Platform (UWP). 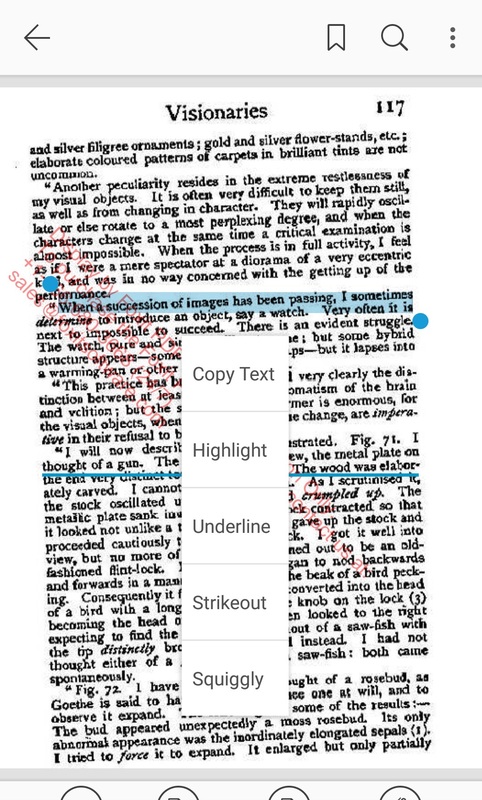 In addition to common PDF features such as form filling and annotations, what thrills me the most is the SDK’s support for text-reflow and night mode viewing, which is still lacking in other PDF SDKs. 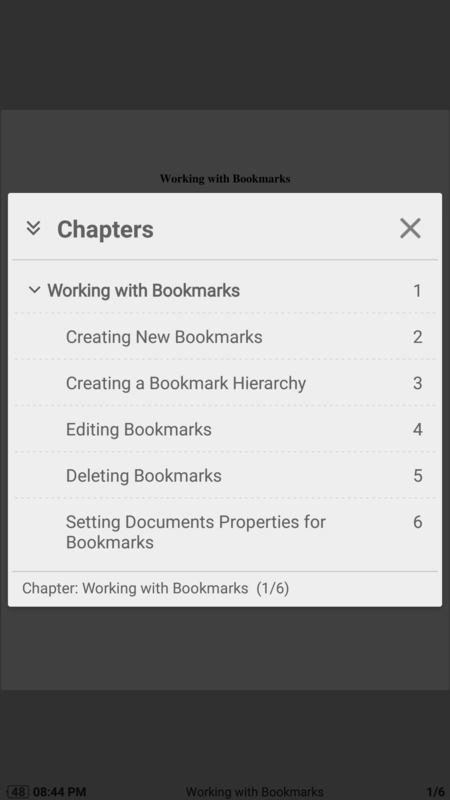 Being so excited at the existence of such a sophisticated PDF SDK , I decided to spend some time playing with the SDK on my mobile devices and this article will share some of my interesting findings. 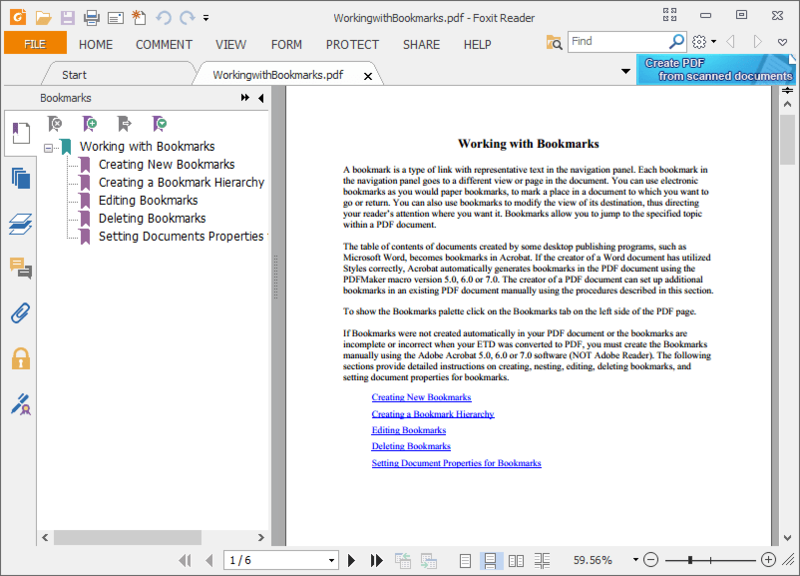 Among the sample applications, the CompletePDFViewer project provides a fully functional PDF viewer which is more or less the same with Foxit PDF Reader, as far as viewing PDFs is concerned. The FunctionDemo project demonstrates various SDK functionalities, such as adding annotations/signature or exporting a PDF file. 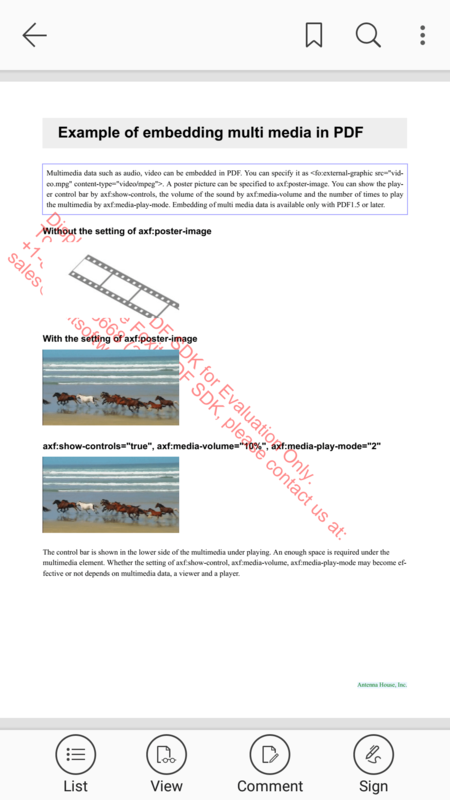 The ViewerCtrlDemo project (not available in the UWP download) shows how to use the SDK as a custom control to display PDF files in a simple way without having to deal with the underlying PDF rendering logic. 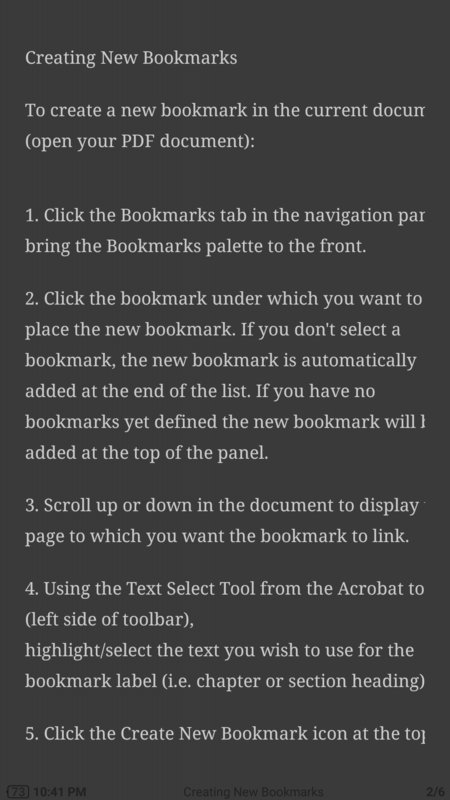 The open-source UIExtensions library provides various components that will be useful to build your own PDF readers such as annotations or text selection toolbars. The SDK is listed as supporting iOS 9, Android 4 and Windows 10 or newer. Interestingly, in a separate tutorial, Foxit indicated that the SDK can support Android 2.2 or newer. I did not test to see if the SDK can run on Android 2.2, since I do not have such an old Android device. 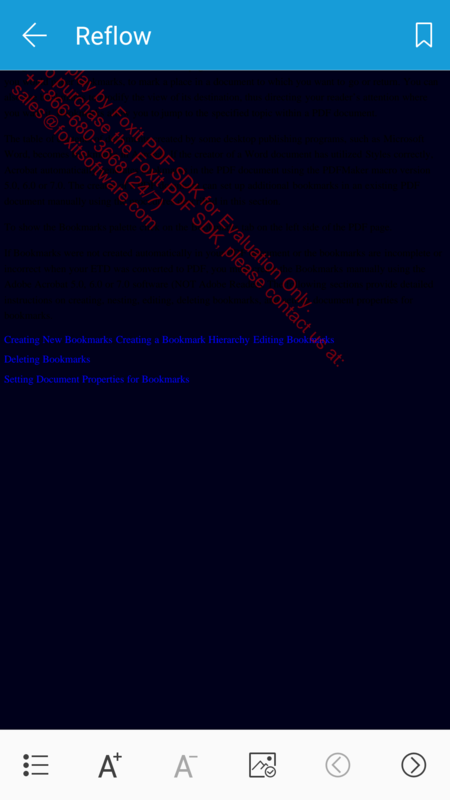 The objective of my testing of this PDF SDK is simple – that is to see what kinds of PDF features it can support, and whether a mobile app developed using the SDK can provide a PDF-reading experience that is on par with a commercial PDF reader application, e.g. 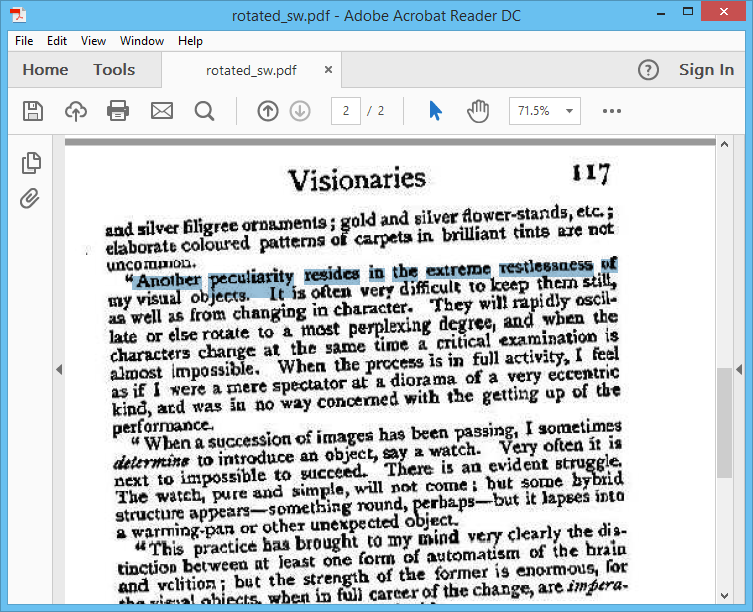 Adobe Acrobat Reader, Moon+ Reader or Foxit PDF Reader. 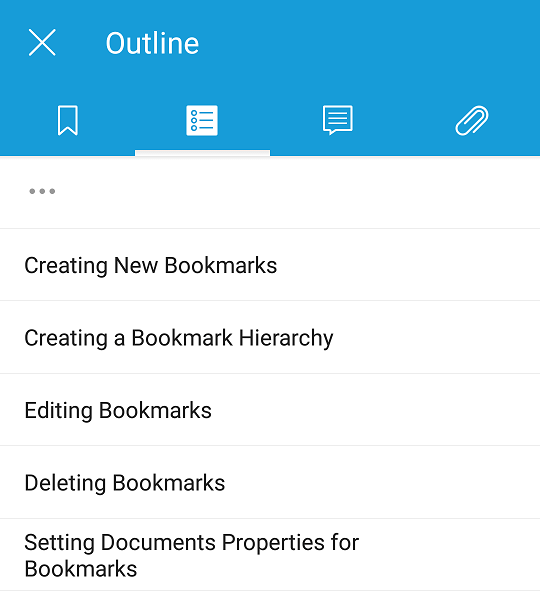 Also as the SDK seems to provide consistent performance between its Android and iOS versions, the screenshots provided in this article will be from the CompletePDFViewer demo app running on Android, unless otherwise specified. This is however understandable as playing multimedia presents various technical challenges such as checking for supported video and audio codecs and launching a third party application that can play the file. The desktop version of Foxit Reader has no issues with this and plays embedded audio and video just fine. 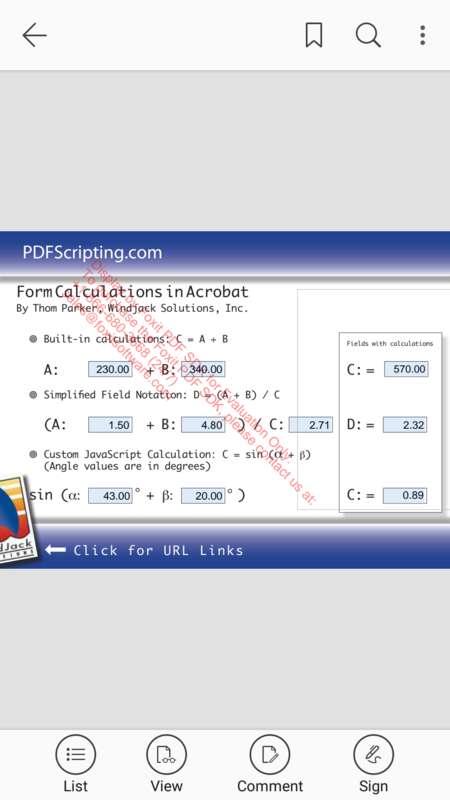 Links inside PDF files (http:// or https://) are also not clickable. I guess there are optional event handlers which I can use to know when links are clicked and act accordingly. Adobe Acrobat Reader and various other PDF readers will also not open links by default, perhaps due to security reasons. The custom fonts, if not present on the device, are not substituted with default fonts, but instead rendered using their embedded versions. 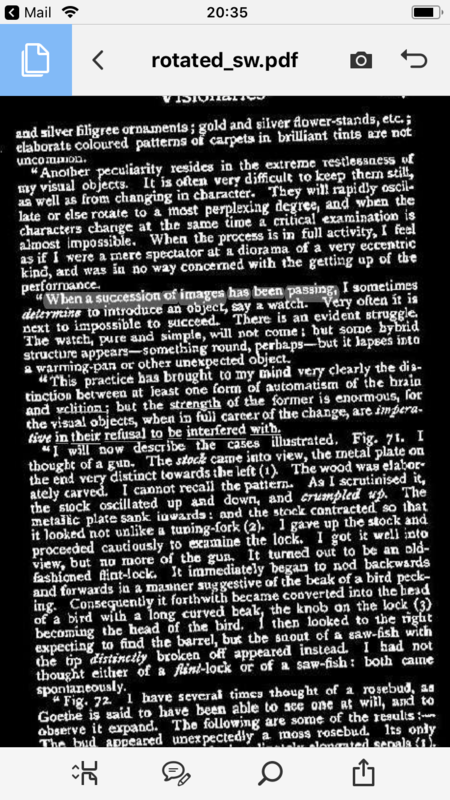 Had font substitutions occurred, we would see the same typeface for the three paragraphs in the above screenshots. 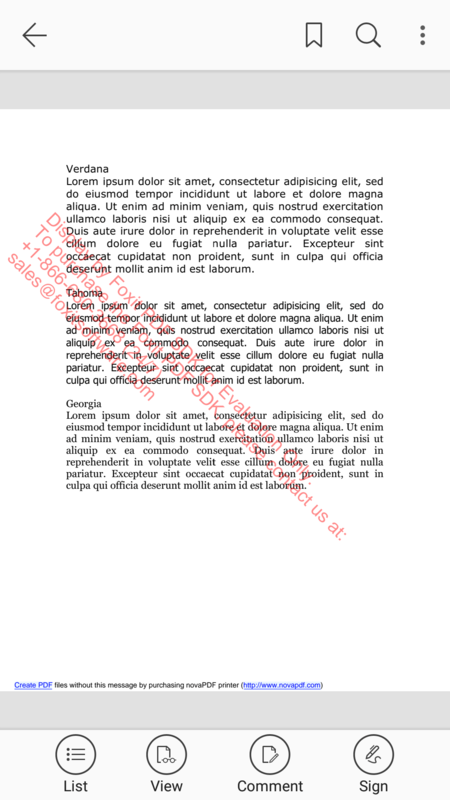 Font substitutions would also cause the reader to simply show garbage text when displaying a PDF file that uses custom CID fonts – refer to my previous post for details. During one of my tests, I encountered an interesting scenario when an Android toast message, “it’s out of memory and on recovering”, was displayed repeatedly on the screen. The application stopped responding and all I could do was to force close it. The problem did not happen again despite my several attempts to replicate it. 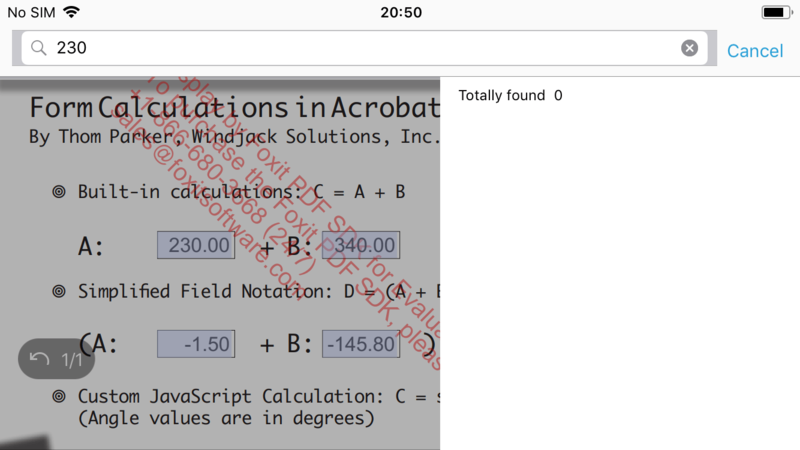 The error was probably triggered by low memory conditions when I attempted to zoom in on a PDF page with a big image and poor error handling on the Foxit PDF library. On a side note, the trial license key expires in 10 days, which is rather a short period for a sophisticated PDF SDK. 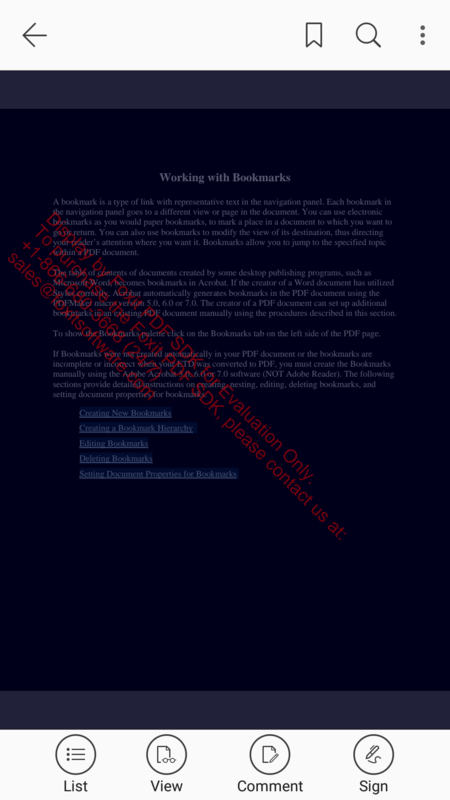 It would have been much nicer if Foxit could increase the expiry period to a month or more as the demo watermark shown in all PDFs rendered using the trial versions would make any application developed using the demo SDKs only useful for testing. 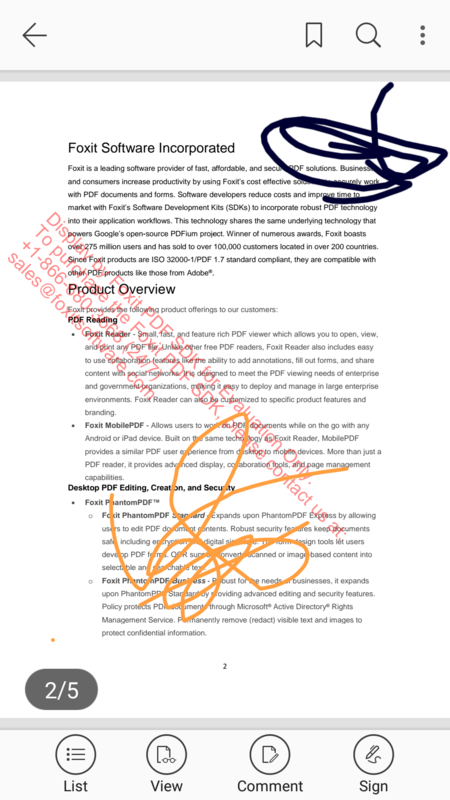 With the custom font test, I concluded my testing of the Foxit MobilePDF SDK and I can say I am happy with the SDK performance on both my Android and iOS devices. 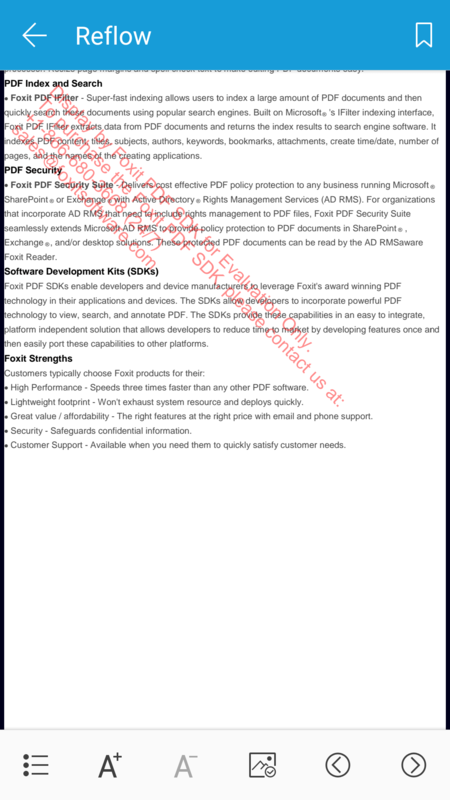 Although there is certainly a lot of room for improvements, especially with regards to text reflow and night mode support, the Foxit MobilePDF SDK is still an excellent PDF SDK to be considered if you are planning to develop mobile applications with sophisticated support for PDF. The PDF files used for testing in this article can be downloaded here for those who might be interested.